Home Thread milling What are the operations carried out in Milling Machine? What are the operations carried out in Milling Machine? There are 12 types of operations which can be performed on a Milling Machine. Large varieties of components are manufactured on a milling machine involving the below mentioned various types of operations. These different types of milling operations performed on a milling machine are mentioned below. 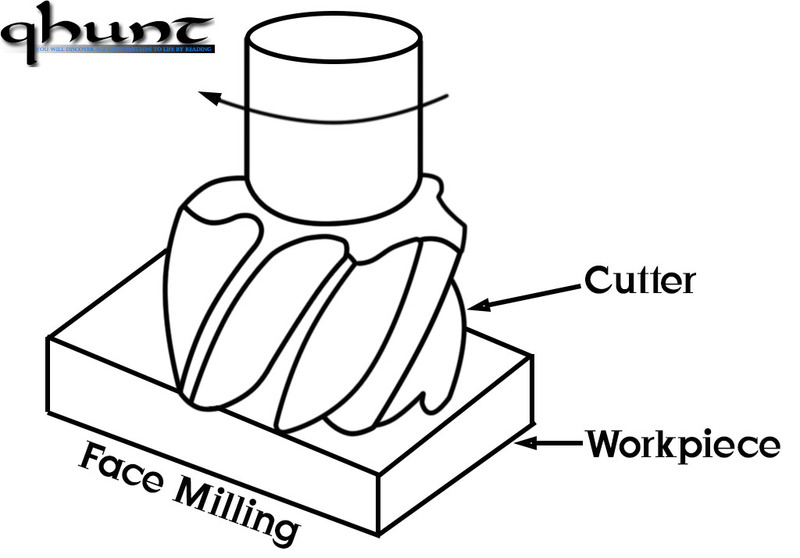 The plain milling is the operation of producing of a plain, flat surface parallel to axis of the milling cutter. The operation is also called slab milling. This operation is carried out with the help of plain or slab milling cutter. 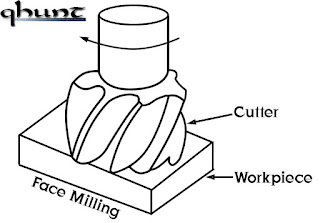 The side milling is the operation of production of a flat vertical surface on the side of a work piece by using a side-milling cutter. The depth of cut is adjusted by rotating vertical feed screw of table. 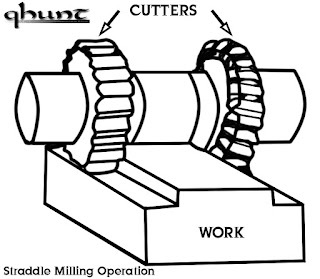 The straddle milling is the operation of production of flat vertical surfaces on the both sides of a work piece by using two side milling cutters mounted on the same arbor. 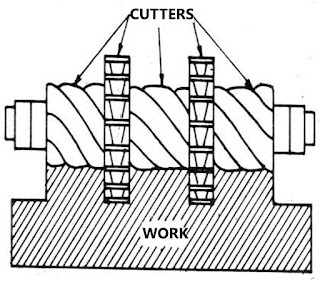 The distance between the two cutters is correctly adjusted by using suitable spacing collars. Is the operation of production of an angular surface on a work piece other than right angles to the axis of milling machine spindle? 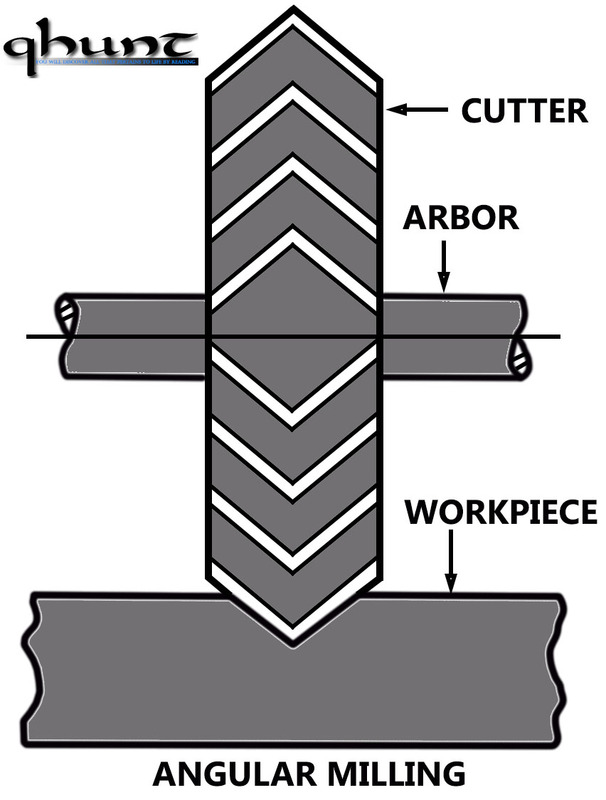 The angular groove may be single or double angle and may be of varying included angle according to the type and shape of the angular cutter used. 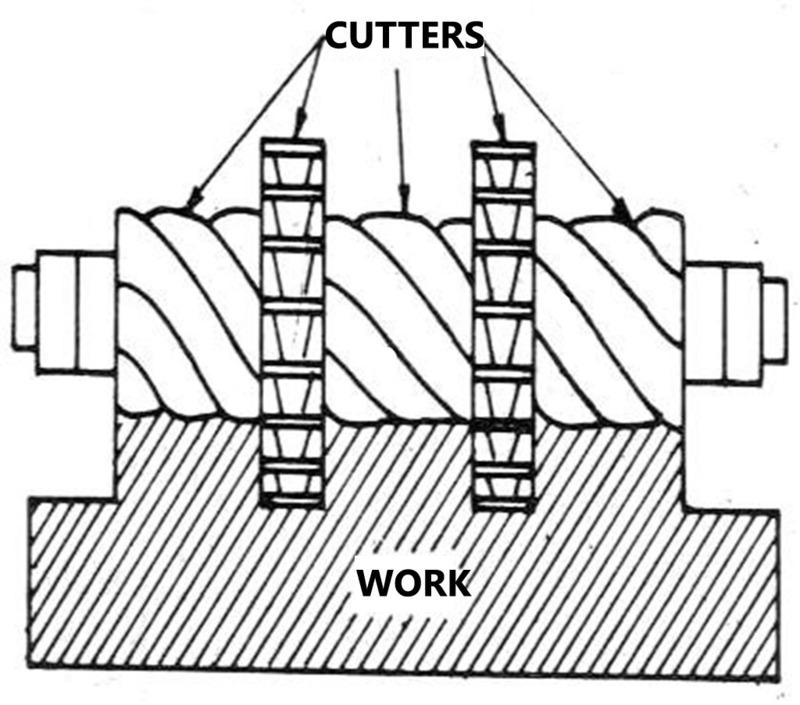 This is the operation of machining several surfaces of a work piece simultaneously by feeding the table against a number of cutters having same or different diameters mounted on the arbor of the machine. 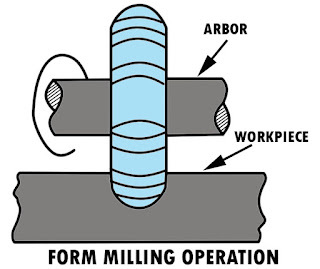 The form milling is the operation of production of irregular contours by using form cutters. The irregular contour may be convex, concave or of any other shape. It is a reproduction of an outline of a template or complex shape of a master die on work surface. 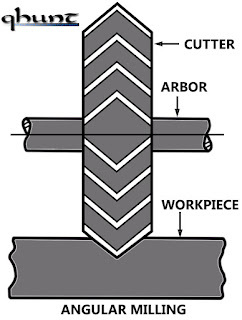 It is the operation of production of helical flutes or grooves around the periphery of a cylindrical or conical work piece. Swivelling the table to the required helix angle to performs the operation. Then by rotating and feeding the work against rotary cutting edges of a milling cutter. 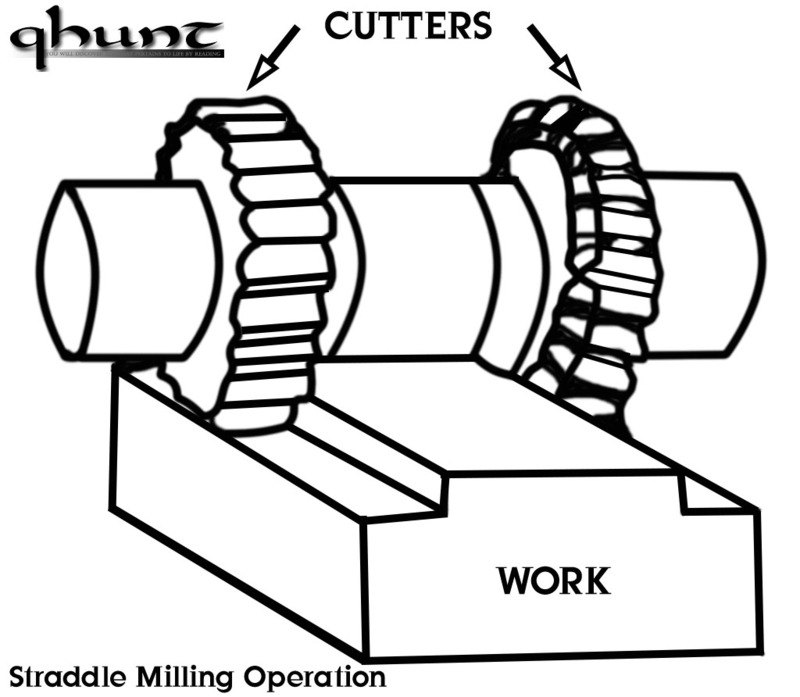 The thread milling is the operation of production of threads by using a single or multiple thread-milling cutters. The operation is performed in a special thread milling machines. The end milling is the operation of production of flat surface which may be vertical, horizontal or at an angle in reference to the table surface. The cutter used is an end mill. Dies for drop forging, die-casting and sheet metal forming have impression or cavity. 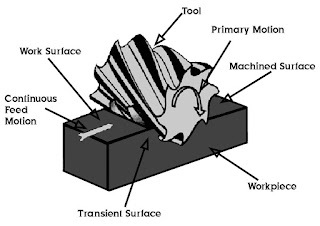 The operation of cutting this impression or cavity in the die is called die sinking. 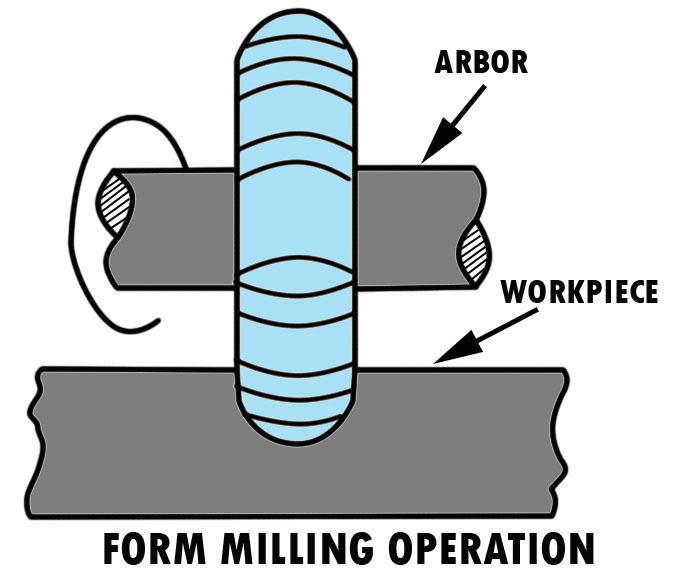 A simple or plain type diesinker is similar in its general arrangement to a vertical-milling machine. The cutters used are such which will assist as far as possible obtaining whatever shape required for die cavity. Many devices and attachments for die sinking machine have been designed to eliminate chipping and other different hand operations. For example die-sinking machine have been equipped with a ‘cherrying head’ for milling circular impression in the dies. A die-sinking machine is known as universal type, is so designed that both cherrying and straight die sinking operations can easily be performed without special attachments or cutters. Note - Cherrying relates to the operation of milling circular or special impression in the dies. Routing is milling a more or less irregular outline while guiding by hand.